Faster Than Light Neutrinos? No thanks. In science, there is a saying that goes something like this: It is very hard to unprint something. This saying speaks towards the inevitable fact that, once something goes to print, it is hard to change it. Because of this, there are a lot of public misconceptions of science – I’m going to put one of them to rest today. 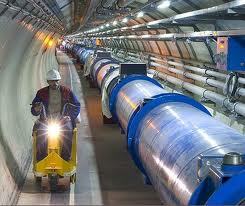 Scientists, such as Michio Kaku said, “The correct attitude is to ask oneself what went wrong. 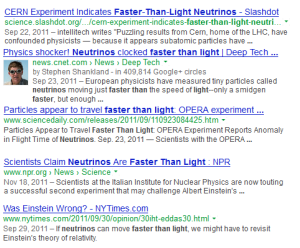 My gut reaction is that this is a false alarm.” Others went as far as to say things like “If this experiment proves to be correct and neutrinos have broken the speed of light, I will eat my boxer shorts on live TV.” Despite every scientists (with the exception of a very few) belief that this result to be in error, popular media outlets ran with the story, using misleading language in their descriptions – after all, Einstein being wrong is very exciting since he is, by far, the smartest person most average people can name. So, after further analysis, what became of the result that threatened the foundation of modern physics, nuclear physics, modern cosmology (which would throw into doubt theories like the expanding universe and big bang, as well as black holes), quantum mechanics, string theory, and basically every aspect of modern day science? In the words of Carl Sagan, “remarkable claims require remarkable evidence.” In this case, the proof wasn’t forthcoming and the scientists in charge of the experiment discovered that this shocking result was made possible by a loose cable. A fiber optic cable was not screwed in correctly. Whereas a loose cable won’t noticeably affect your download speeds, when you’re working with experiments measuring particles traveling near the speed of light, this cable can add tens of nanoseconds to your result. (It turns out the master clock in charge of keeping time for the experiment was also improperly calibrated. Ironically enough, this miscalibration would make the neutrinos appear to travel slower, but this error wasn’t large enough to cancel out the faulty cable. But, I got ahead of myself. 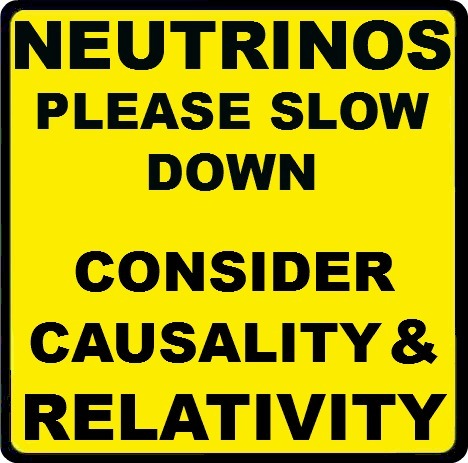 Being scientists, they must perform some type of test to prove the faster-than-light neutrino experiment was an anomaly caused by their computers (after all, the fate of relativity rests on these results). Using tests that involved measuring the speed of muons with the loose cable then the tight cable (in addition to analyzing past data from passing cosmic rays), scientists saw the muons’ speed shifted according to their predictions. Now had a baseline to work from. They preformed the same test with neutrinos and the measurements they obtained fit with the model and the data provided in the mueon tests. 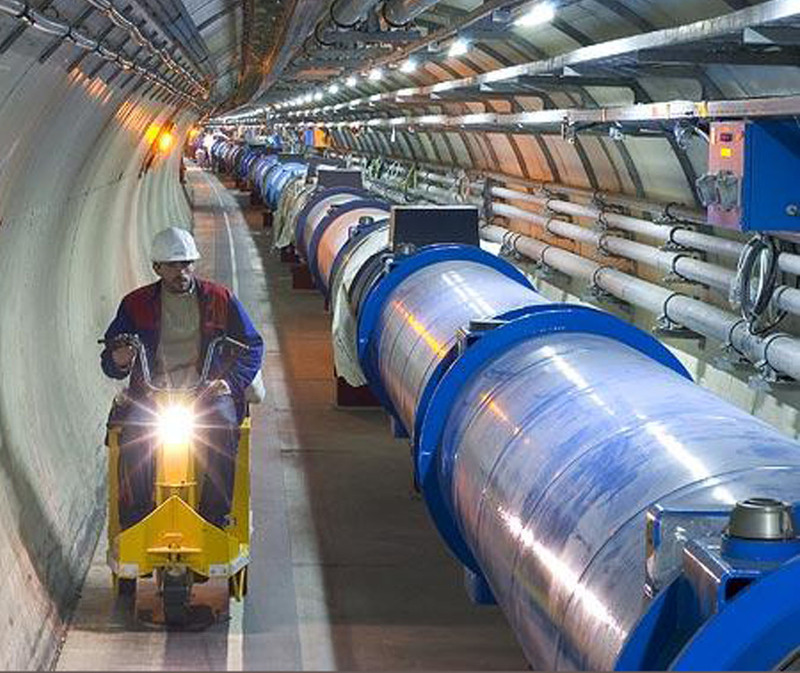 This proved the data from the original faster-than-light neutrino experiment was faulty. Astronomy Picture of the Day: 4/28/13 – New Rings Around Saturn? Supernova Feedback in Early Galaxy Formation. Question: Can Black Holes be Created Through Nuclear Fusion?